If we’re going to be so publicly critical of Andrew Friedman when he makes mistakes, (and he’s made many) then we should be just as publicly positive when he does something well. I think the A.J. Pollock signing was a good acquisition. Surely I would have rather had Bryce Harper, but come on, we all should know and have known long before that the odds of the Dodgers signing Harper were about the same as me winning the lottery. That’s not happening folks. But Pollock is a good player and seems like a nice guy. He’s a good dude that is legitimately excited to be playing for the Dodgers in Los Angeles. He’s a family man and said a lot of cool things that made me ring the bell in my head. Often times the bell in my head goes off for other reasons. What can I say, I’m an odd duck. Anyways, I was listening to Pollock on the Petros and Money show and he was talking about what position he prefers to play. He provided the right answers. While he said he feels more comfortable in center field, he’s a team player and will play wherever they ask him too. Good. 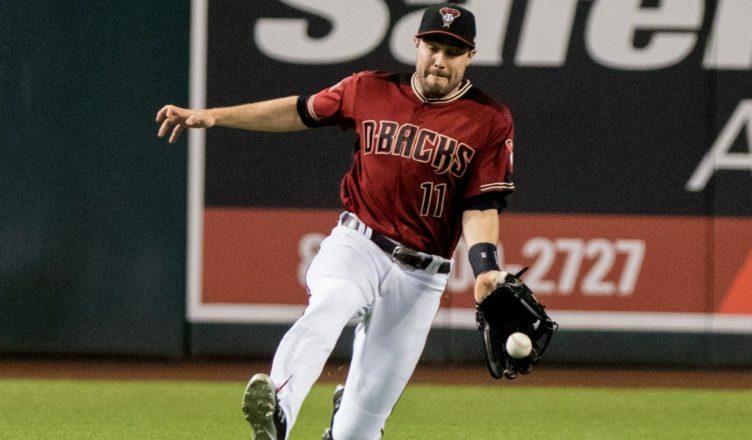 He also talks about his injury problems, his time with the Dbacks, and the history of the rivalry between the Dodgers and Arizona and what it’s like to now be playing on the other side. Pollock is a good player. And listening to him give all the right answers makes me even more excited to watch him play this season. Check out the interview by clicking the link below. Please temper your opinions and expectations until you see him play. Give the guy a chance before you rip into him. He’s a productive player and I’m all for bringing productive players onto the Dodgers roster. I am totally convinced that loves LA (well he loves the millions that he got from LA for sure). What is he supposed to say, I hate LA, I hope all Dodgers’ fans go to hell. Of course not, he said what he had to say. 99% of the players today are just whores or you might say mercenaries. Move on , nothing to see here. I’m sure you’re a barrel of laughs at parties. Lolz. Good times right patch? I actually said that all players are whores, just to be accurate. I also said they are mercenaries, just to be accurate. Yes, I am awesome at a party, and pretty much all the time, just to be accurate. I’m always open to give these guys a chance to prove themselves. I admit I can be a bit cynical at times, but I do it for the sake of my sanity. Trust me, I want these guys to succeed, and will happily jump on the bandwagon at the appropriate time. I do not like to sugarcoat anything, and I like leave the door open, so I can say, “I told you so”. Don’t like to get too excited about anything, until I see some positive results. “Show Me”. After the failures of Darvish and “Smirk”, and the trade of Puiggy for nothing, It is easy to have no faith in Friedman’s (and Farhan’s) decisions. Sure Pollock wants to be here. How many times over the last 6 seasons has he had to watch the Dodgers celebrate? The pool diving scene at Chase could not have been a happy memory for him, but the fact remains, is he any more of a whore than Greinke? He is also a solid hitter, and a damn good outfielder. No matter where he plays, he plays hard and the guy can rake. If he avoids the injuries, and his are not chronic, they have come from hard play, then he will be a huge asset to this team and should hit up in the .270’s with 20 plus dingers and a bunch of stolen bases. I do applaud Ol Andy for signing this guy. He will be a huge asset. The curse of #11 notwithstanding, Last few guys wearing that number sucked. But I am sure he will be more like Manny Mota than Logan Forsythe. Michael, you’re right on target here. Yes, he won’t remind us of Logan Forsythe, and guess what…I would bet ya that even today Mota out hits Logan too! I cannot believe those two morons still have a radio show out in LA. The are about as knowledgeable as a dead trout, Just about as boring as watching a fly go up a drape. 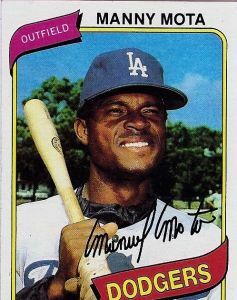 Walter Alston used to say that Mota could wake up on a cold December morning and go out and hit line drives all day. The legendary Manuel Geronimo Mota. best PH in Dodger history. Manny Mota….the best contact hitter in MLB, next to Ichiro and Rose. Launch Angle?… what the hell was that, in the good old days. If Today’s players would just see the ball and hit it, rather than worrying about launch angle, they would be better hitters, and the game would be more exciting, and the shift would cease to exist. Baseball would be played, the way it was meant to be played. Too bad #11 gets nobody worthy to represent. No Respect. His number should be retired. Yup, definitely trust the layman posting as “Bluefan4Life” about the proper approach to hitting. Definitely overlook statistics and people who do such analysis for a living. We may not like it. The product may not be aesthetically pleasing, but there’s a reason everybody is running towards launch angle and new hitting theories. They have reasoning, and facts behind them! What it boils down to is players are more interested in personal gratification, rather then “team” success. Players could care less, as long as they have opportunity to pump up their personal stats, and pass on manufacturing runs, and scoring opportunities. You just described the career so far of Yasmani Grandal and last years version of Chris Taylor. BA be damned. Launch angle is the ticket. I hate to disagree with you Bluto, but baseball does not have to be the way it is now. If I were a hitting coach, I would be teaching those guys the strike zone and going the opposite way. Bunting would be nice, and stealing bases would be exciting baseball. The Dodger way now is exceedingly boring. All those long fly ball outs, runners left on base, and hitting into the shift instead of beating it. Cody Bellinger’s first base hit in the majors was a bleeder to the left side of the infield with the Giants in the shift. Interesting theory via Kiley McDaniel. If Realmuto is not willing to discuss a long term deal, then any team trying to get him has to assume they will only get 2 years of service. May explain why it’s dragging out. That would definitely be a deterrent to any team wanting to trade for the guy. I am not unloading my high picks on any rental, especially one only around for a few months, or in this case, 2 years. Ruiz could very easily be ready next year. Now you are thinking like the FO, yet you criticize them so much. As I’ve said before, it seems they already have their guy in Ruiz and now it’s time to focus on other positions like they just did with acquiring Pollock. There is probably another acquisition coming soon. Who? I couldn’t say and we are not going to hear about it from the FO until it’s done. I wonder if Bluefan ever played any sport on a team. He is so wrong in general about what most players want. It’s like being in the service and thinking only about yourself during war time. That’s not how it is. Your teammates are your life. It’s all connected. I played baseball all my life. I did what ever, I could to get on base and get into scoring position. I stole bases to put pressure in the opposing pitcher, and to also eliminate the double play. I did what ever I could to move the runners on base… I sacrificed when I had to. I hit to avoid the double play. The Dodger hitters are all up there hacking away, trying to hit everything out of the park. “Launch angle” swings, that only produce pop outs, double plays, force outs, strikeouts, and hitting directly into the shift. Their atrocious RISP numbers are evidence of this. “This” is not what I would call “Team” baseball… It is “SELF-ish” baseball. They were instructed to do it. It was a strategy that was employed by Turner, not a result of selfish play. Big difference. Steals are decidedly selfish, as are sacrifices. You only get 27 outs. Why give away one of them just to move a runner along. Similarly, the steal is too risky. Bunting for a basehit however? No, I am not thinking like the FO, I am making my own assessment of the player who is in play. He is a lot younger, has a ton of talent and I think trading him would be foolish. I did not like trading 5 for 1 when they went after Machado last year. What did it get them? It did not bring a title to LA. He added some pop to the lineup, but he was not a difference maker. The team did not go on a tear after he was acquired. He folded like a wet taco in the series. You win some, you lose some. I do not like Friedman, I never have. But that’s my right and my opinion. I do not think he is some genius. He makes mistakes. All GM’s do. I think the saber metric way of evaluating players has made the game more boring. He inherited a good team and the best thing he has done is not screw it up. His free agent signings have been less than inspiring. I do like the Pollock deal, it makes sense under the mandate to stay under the CBT. But sometimes it seems like what he does is not making any sense at all. The Kemp-Puig deal to the Reds was supposed to be, according to all the experts, a salary dump like the trade with the Braves the year before. So, all the fans are excited because they believed that it meant Bryce Harper was coming to LA and walla! Instant WS championship. But that has not happened, leaving most fans, not me, dissapointed in him again. Then Kasten opens his mouth at fan fest and makes it even worse. For the record, I have always preferred home grown players when said players blossom into something special. Sometimes it does not happen right away. Then there are stretches when it seems there is some guy every year who just suddenly gets it. The 74 team was like that. Garvey, Lopes Russell, Cey and a kid named Buckner. Then the stretch in the 90’s when they had 5 straight rookies of the year. It was fun watching Bellinger do what he did, and the same watching Muncy do close to the same thing last year. And I was impressed with Buehler. So Friedman has done some things right. But he still thinks small market. He still acts small market. LA is not a small market. So there is going to be disappointment in the way he works. You can like him all you want, I really care less. I played sports on teams and I was also in the military for 9 years. In sports, you do not put your life on the line, and you do not have to like team mates to win. That has happened a lot. In the military, you had better damn well trust the guy next to you because your life might depend on it. There are a lot of selfish players in all sports. I read what you said about them being instructed to do things. I get that. But Turner and Taylor re-invented their swings on their own. This all or nothing approach is what has made the game so unwatchable at times. Bluto say’s bunting is old fashioned baseball and a waste. Stealing bases and sacrifice bunts have been part of the game for longer than we have been alive. If they are such a waste, why do they instruct players on how to bunt in the first place? That’s very narrow thinking. It is thinking like that that leads to games like game 3 of the WS that went 18 innings because everyone and their brother was trying to win the game with 1 swing instead of using a team approach and stringing together some hits. That’s selfish baseball. 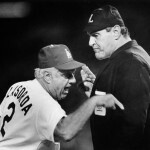 By the way, if they were instructed to hit like that, the batting coach and the manager were morons. Michael, that’s why we have a new batting coach. If Turner was any good for the team, do you really think the Dodgers would have let him go? Aside from that, I understand you are attached to the past and everything that gave you the warm and fuzzies. The game of baseball is not static as we would like to think it is. It changes like everything else in this world. The insiders all know that Turner was instrumental in the Red organization for getting done what the FO wanted the whole time, getting the Reds to bite on our castaways. We should thank him and I hope he gets some kickback from the FO to his offshore account in the Caymans. The other rumor is that Turner and Puig have a thing going after Puig began kissing him publicly. Turner was heartbroken being separated from Yasiel. Didn’t you hear about this on the news? These guys are only as good as their juice cycle. Speed is a factor in all major sports. A player who is a threat to steal and can take the extra base changes many things in what happens next. Those who don’t know that have never played the game past Little League or are just ignorant. Bunting and hit and run may be undervalued by sabernerds now, but give me a team of players who can do it and I will compete with the all or nothing Bunyans any day. Even the old teams who could do those things obviously had sluggers too. Guys like Mantle could, and did bunt for hits. Everybody who plays the game at this level should be skilled enough to bunt and go the other way. It’s just not that difficult to do, and there will be times when the odds favor doing it. I think all or nothing as a team strategy will end up being a passing fad. Hope so anyway. I miss the strategies of the game I played and coached. I look forward to fewer strikeouts with our new hitting instructors. I also look forward to the day we see successful hit and runs. It’s a thing of beauty when executed properly. True enough, Badger. No tactics that are useful should be abandoned. Imagine the layup being a thing of the past in basketball and the 3 pointer being the majority of shots taken during a game. I’ve said many times, this team needs a leadoff hitter and hopefully, with speed. I was woefully wrong about Taylor being a contact hitter and leadoff guy. Puig was a buffoon running the bases. I don’t know what happened to these fundamentals on the Dodgers. I think, simply put, they went a different direction ….. and led the league in scoring and OPS with it. Yeah, they struck out a lot, but 5 NL teams struck out more. Though swinging out of your shoes no matter the count or situation goes against everything I was taught, it’s impossible for me to argue the success they’ve had with the strategy.